The old adage goes ‘an affront to one, an affront to all’. These weeks another veiled attack on workers’ rights and public infrastructure once again exemplified how we are all being sniped and hacked at. To an outside observer the push toward a low wage economy is clear with workers conditions of employment spiraling towards the drain. Who has pulled the plug? Those elected to safe guard the workers’ rights our forebear’s gave their lives for, those elected to provide us with social security and infrastructure as part of the social contract we all uphold in our daily lives. It is those we pay to protect us that are this nation’s biggest assailant. The news of late has had reports of strike action, financial difficulty and Bus Éireann routes closing. What has been absent from reporting is the reason for this. The subcontractor’s from Noonan cleaning services replacing those working in the direct employ of Bus Éireann. The National Transport Authority giving transport routes to private companies that offer poor contracts and conditions to workers. 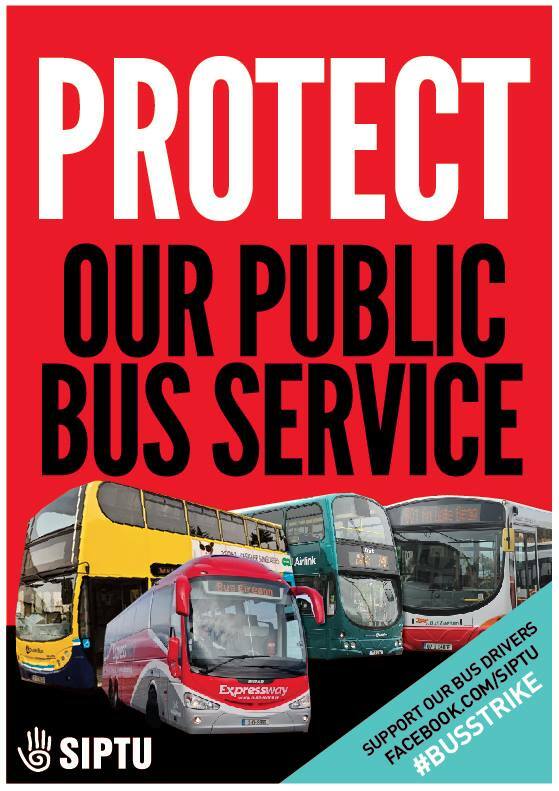 The defunding by the state of the Bus service, which has been the back bone of rural and suburban Ireland, are all reasons we are now in the midst of workers taking defensive strike action. But all we are told is that the company is facing insolvency – not why. We are not told of the nearly 3 thousand workers who jobs are at risk or the families they support. The vile maxim of neo-liberalism first notably mentioned by Adam Smith in The Wealth of Nations and lately brought to attention by Noam Chomsky in Requiem for the American Dream follows as such; ‘The principal architects of policy are those who own the country: the merchants, manufacturers and landlords in Smiths day. They make sure to design policy so that their own interests are most peculiarly attended to. Their interests are served by policy, however grievous the impact on others, including the people”. To quote Smith directly –“All for ourselves and nothing for other people, seems, in every age of the world, to have been the vile maxim of the masters of mankind”. How this may be evidenced are stories such as Shane Ross refusing to perform his duties as Minister for Transport, his excuse that the state can offer no financial support. Whilst Ross is claiming empty pockets in Leinster House, T.D Pascal Donahue and his cohorts have been planning how they want to spend your money on some expansion at Dublin Airport. I ask you this, what will attract more tourism; €500 million of public transport infrastructure to view the nation, or, a new runway? 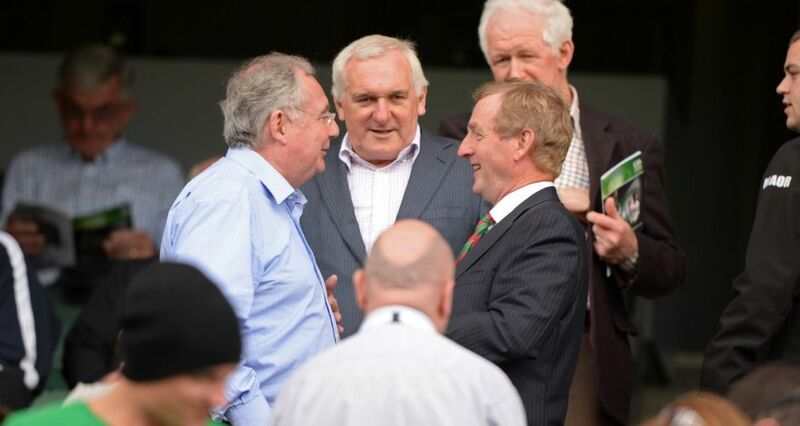 The money is there just not for the tax paying people who live and work in Ireland. The next time you hear that we don’t have money to fund Bus Éireann just remember this, *eh eh hem* HORSE RACING IRELAND RECEIVED €60 MILLION LAST YEAR FROM THE GOVERNMENT while Bus Éireann got €34 million and paid €59 million in taxes. Every year since 2011 the government has cut funding to the service. Not satisfied with having laid the state coffers to waste and stripped her bare of assets, not appeased by the implementation of cuts to the services available to the public, not feeling one bit abashed by the public outcry and direct action the ruling class marches on in their war against ordinary people. The last decade and longer has seen relentless attacks on state assets and by proxy workers’ rights. When Board Gáis was privatised the terms of employment of workers were altered. When waste management was privatised workers were replaced by employees whose terms of employment were scandalous. “Zero hours”, a fitting name for the contract that is comparable to the schemes of a Bond villain. State intervention only comes in the form of facilitating the shift toward an economy which serves private interests. When the Dunnes workers, Tesco workers and many others have been attacked the state has remained silent. When big business is shown to be exploiting the Irish economy the state is the first to claim this is all in our best interest. 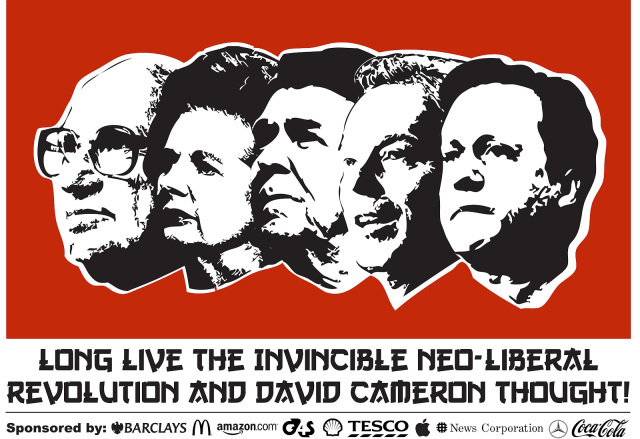 How has the ruling class dealt with our housing crisis? To call it a crisis is true, but it does not explain what is happening. What is happening is that people who work are now no longer able to afford to rent a home, much less buy one. What is happening is that we have the worst problem with homelessness since the formation of the state. 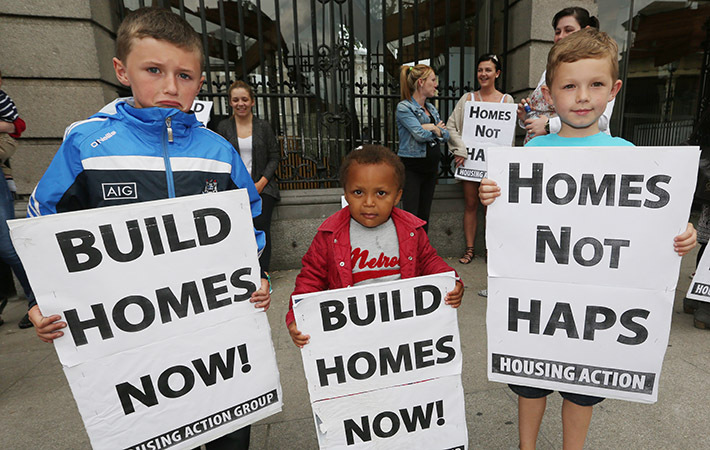 Our state representatives have stopped all spending on social housing and allowed private developers and vulture funds to take control of the housing market. The same housing market that brought this country to its knees is now in a worse condition than before the recession, and the reasoning we are given for this is that it’s what we need to do to recover! Government funding for new social housing provision fell by 88.4% between 2008 and 2014 and, as a result, output of dwellings in this tenure declined by 91.5% concurrently (Department of Public Expenditure and Reform, various years; Department of Housing, Planning and Local Government, various years). This happened despite the fact that ‘Social housing was a central part of overall housing supply during periods of economic growth as well as through several recessions. It also played an important role as an economic stimulus and a source of employment when labour was in oversupply as well as providing a vital source of accommodation for lower income households which was affordable because social housing rents in Ireland are linked to incomes’ (O’Connell, 2007). There are no stops on the neo-liberal bus that the coalition and those in the civil service, economic and high end business sectors are driving. It is an express route in the eyes of Coveney and co to a gentrified, privatised, rich man’s paradise where the rights of the worker are just another fairy tale of bygone days of glory in Ireland to sell to bleedin’ tourists! We have Starbucks popping up around Jim Larkins statue on O’Connell Street, with the company paying a net of €45 tax in 2015 and not a union employee to be seen! We have watched job losses, emigration, suicide, forced evictions, health service cuts, death’s due to hyperthermia of the elderly, gang war – the list goes on and on with suicide a continuing feature. We endured austerity and the erosion of democracy and sovereignty, and we as a people began asking questions about how we got into this mess while doing what we could to get out of it despite the best efforts of Fine Gael. We are told more lies from Leinster House, we hear of recovery and the understanding from aloft of the people’s plight. Actions speak louder than words and the actions of those in positions of control are to the contrary of what they say. The news these past months of trouble within C.I.E and Bus Éireann had echoes of past actions of the mechanisms of the ruling class.The de-funding and push toward private health care, the sale of Aerlingus, the sale of Bord Gáis and, lest we forget, the sale giveaway of our Gas and Oil reserves. We have seen a stark advance in the interests of private equity and a shrinking of public support and service. We have seen the rights of the tax payers of the state diminished while corporate entities and vulture funds take haven here as their needs are protected. What is happening to the workers of Bus Éireann is symptomatic of the disease that has caused all the other maladies of society mentioned within this rant and more. When I first heard the news resurface of impending woe for staff of Bus Éireann a few weeks ago I had a fair inclination as to how things were going to play out on the states side of things. To predict how neo-liberal attacks work is clearly defined by many scholars and social scientists. I have read fictional and academic material and studied the matter through media such as cinema and documentary film since silent sepia tone days. Defund, deregulate, dismantle and privatise. Following the news reports was like the script was being read, like the rules were being followed for once in a blue moon. It appears the only time our ruling class follow the rules is when shafting us, and why wouldn’t they? It works 95% of the time the world over, though this trend has decreased the last decade due to the actions of ordinary people. Bus Éireann has been an integral part of my life and who I am. I remember with joy the trips to town that would not have been possible without the journey spent on the mysterious large vehicle full of strangers. The four seaters where people would chat sitting on musty green seats, the drivers who may not have had a uniform but nearly always wore a smile. As I got older my secondary education would not have been possible without the four trips a day on Bus Éireann wheels. My trips to and from Dublin and elsewhere for work and pleasure the last decade or so have all been facilitated by the staff of Bus Éireann and I feel that I, and most of those who were born with a silver spoon absent, owe a great debt of gratitude to the staff of Bus Éireann and the institution itself. We are still bailing out the bankers and the debt they laid upon us without ever giving a red cent back. It is time for once that our elected representatives begun bailing out the citizens of this country. There is money in the governments purse to not only save Bus Éireann, but to reinvigorate it. It may mean directing a small sum of money out of the pockets of private interests, but I won’t lose sleep over that. It will mean using the revenue generated by the people of Ireland for the benefit of the people of Ireland and that may cause some sleepless nights for those in Dáil Éireann. This entry was posted in National Issues, Workers' Struggles and tagged Aerlingus, Bus Éireann, Capitalism, CIE, Dunnes Stores, Housing crisis, Neo-liberalism, Privatisation, Tesco, The Ragged Trousered Philanthropist, Workers rights, Workers' Struggles. Bookmark the permalink.